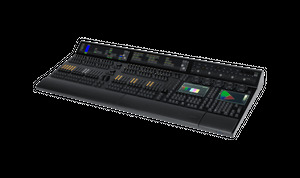 The grandMA3 full-size Control Room Version (CRV) console is the flagship of the range but supplied without the monitor wing. Designed for use in control rooms where sightlines can be challenging, the grandMA3 full-size CRV features 3 additional external monitor ports to facilitate the convenient location of external 3rd party touchscreens without compromising the grandMA3 full-size console functionality. 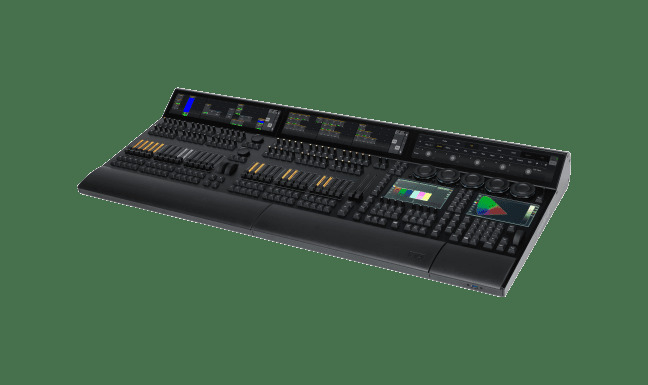 The grandMA3 full-size CRV console includes 12,288 control parameters as standard, ensuring that it is the perfect base platform for the world’s most prestigious entertainment lighting applications. The system size is scalable to 250,000 parameters with the use of additional grandMA3 processing units. The three letterbox screens are context sensitive and dedicated to providing feedback and options for the grandMA3 console playback and encoder hardware. The grandMA3 full-size CRV is compatible with grandMA2 and grandMA3 software. The hardware is ergonomically optimized and can be considered a silent version by default.